I just got off the microphone chatting with Ben 200 and Inya Ode of Nigeria Info Fm Abuja talking about Men Empowerment and the effect on society. In the course of our discussion, I said something and thought to share. Can you Imagine what happens to a baby who is born and he 'decides not to cry at birth because he is a boy' as he is told when he eventually arrives...? Believe me a man will be more fulfilled, and better equipped to take decisions and make life choices and thus women and children will also be better. 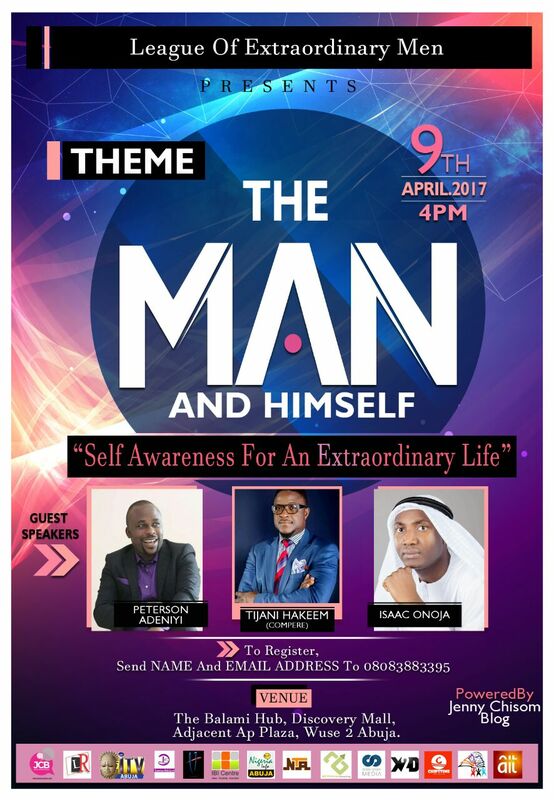 Discussion at the "The Man and Himself" workshop on Sunday in Abuja will be therapeutic. Come share from life lessons and gain more success quotient.